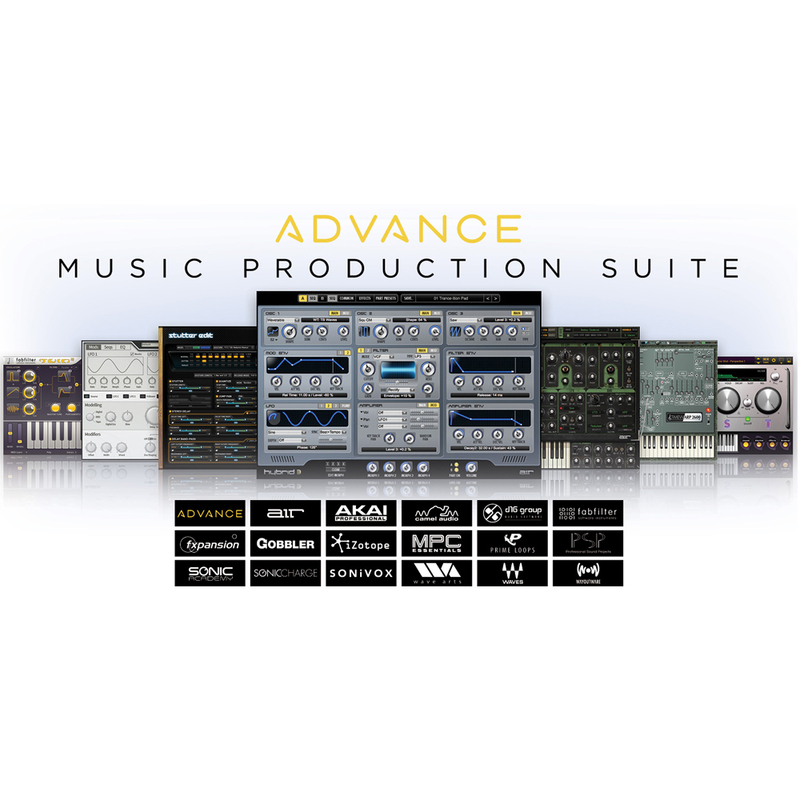 Advance is a professional quality music production suite that comprises a collection of premier software plugins that would cost around £3000 if bought separately. 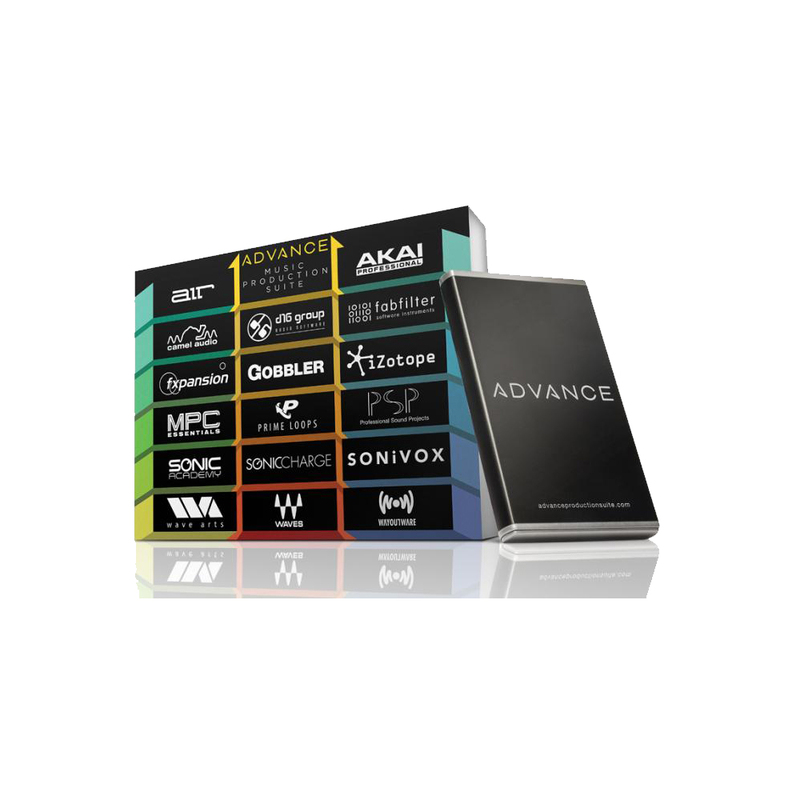 The result of a major collaboration with many high end music software designers, Advance gives the musician a complete suite of tools including virtual instruments, Loops, Samples, effects and mastering software. Compatible with both Mac and PC and available in all major formats for the latest DAWs, Advance is a quick and simple choice for musicians and producers looking to develop their setup from the limitations of their DAW with one fantastic value package. With Advance you get over 70 cutting edge titles from top developers like Sonivox, Waves, FXpansion and Prime Loops. 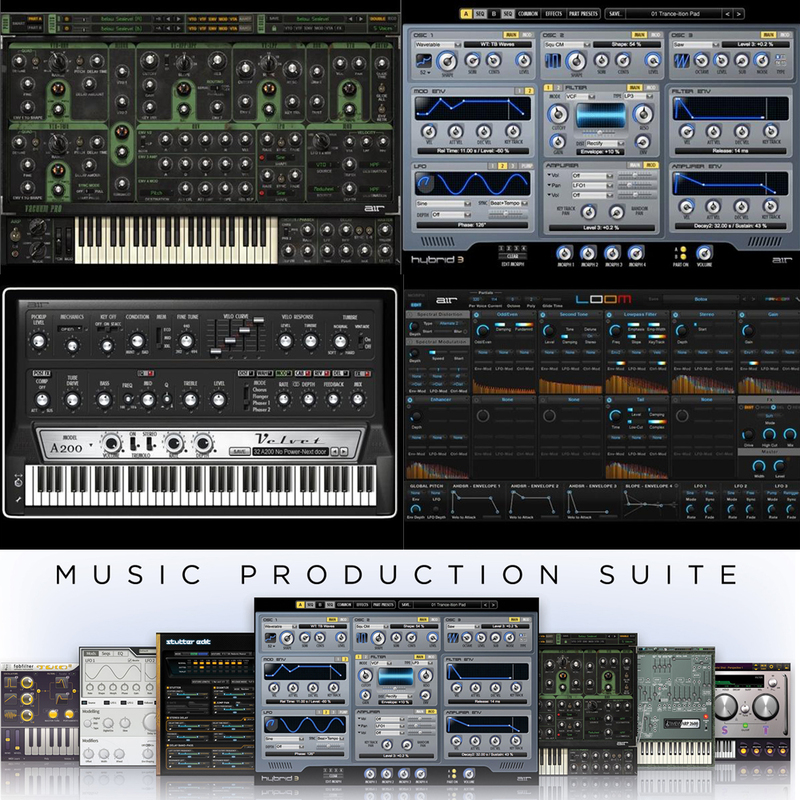 The Professional grade software includes over 25 virtual instruments, over 15 effect plugin processors, and 15+ sample packs. You also get an invaluable online resource of technical and artist video tutorials from Sonic Academy and Cloud collaboration tools to help develop your craft and make the most of the tools at your disposal. If you still think you're not getting enough bang for your buck, registering Advance gives you access to discounts on studio essential hardware. Get Advance today and you can have all the tools you need to make the music you want.